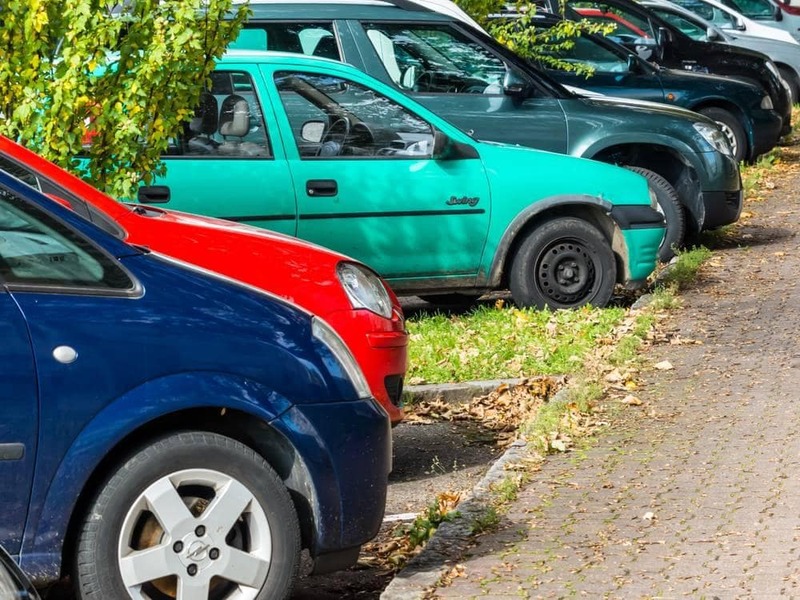 Determining used car values is easier said than done. There’s no definitive way to anticipate what kind of offer you’re going to receive from a potential buyer, and this is made even more difficult if you’ve never previously sold a car. Well, we’re here to help. As you’ll soon learn, there are easy ways to help you determine the proper value for your current value. There are also several things that the seller can do to help boost said value. Therefore, when you’re ready to head into a dealership like DePaula Chevrolet to sell your car, you should know exactly what you should be asking for. If it’s time to sell your current vehicle, then it theoretically doesn’t require much effort. You could sell the car to the most eager customer, and you could use the couple of hundred of dollars to buy a replacement. Of course, by opting for this route, you could be missing out on a large chunk of change. Instead, there are several ways that you can better prepare for the car-selling process. For starters, you can get a general understanding of how your vehicle is being valued thanks to Kelley Blue Book and an assortment of car-buying websites. Instead of taking the first available deal, do some research to help maximize your profits. Nowadays, you’ll find that many dealerships are relying on Kelley Blue Book to get a general understanding on the value of a particular used car. Of course (as you’ll soon learn), there are a number of additional aspects that go into valuing a vehicle. However, customers can at least anticipate the incoming offer of their soon-to-be former ride by referring to Kelley Blue Book’s suggested value. Of course, it’s always a good idea to rely on multiple resources. While it may not be the most reliable guide, a website like Craigslist or eBay should at least give you some idea of what similar vehicles are currently selling for. Considering the conveniences that dealerships provide, you’ll presumably learn that there are better financial deals available by pursuing a private sale. On the flip side, most buyers prefer to avoid this headache. Either way, these resources should provide some additional guidance before you head into a dealership. Dealerships aren’t going to solely rely on Kelley Blue Book as they determine the value of your used vehicle. Rather, they’ll take into account various specific attributes that might help boost or lower the listed value. For instance, not every Chevy Cavalier is equal. A newer-year model will obviously fetch a better deal, as will a car with lower mileage. The quality of the vehicle is also important. Some car sellers try to hide these, but you’re unlikely to pull a fast one on these professionals. Most dealerships are practically experts when it comes to buying used cars, and they’ll recognize if you’re trying to cover up a particular issue. Your best route is to be completely transparent about every aspect of your car. As we previously mentioned, you shouldn’t treat Kelley Blue Book’s values as gospel. Instead, there are a number of additional factors that go into valuing a used vehicle. Fortunately, by recognizing these components, you can do your part in boosting your vehicle’s value. Minor cosmetic fixes will go a long way in altering how your car is perceived by potential drivers, while a quick trip to a mechanic will help you avoid some headaches down the road. By combining these revisions with those previously-mentioned resources’ values, you can expect to receive a pretty penny for your current ride. There are several minor revisions that can help boost your used car’s value, and none of them will break the bank. Ultimately, if the cost of these repairs will ultimately earn you some extra cash when selling the vehicle, then it’s worth the investment. On the flip side, you could always rely on the car’s buyer to fix these issues, but it’s likely that said buyer will deduct the applicable costs from their initial offer. Waxing your vehicle will make it a whole lot more presentable, while replacing the lights will make your vehicle appear younger. Even cleaning the inside of your vehicle can help entice potential buyers to pull the trigger. We’re not necessarily saying that you have to replace all of the upholstery, but vacuuming and throwing away any trash will make your vehicle look a lot more presentable. Of course, as a driver, you’ll probably be the first to recognize if there are any mechanical issues. If you’re going to ultimately be selling the vehicle to a dealership, they’ll surely recognize these problems, as well. Therefore, if you think there might be something wrong with the vehicle’s mechanics, it’s probably in your best interest to send the car to a mechanic. The repair bill will surely be reflected in the final price of the vehicle. As we previously mentioned, there are a number of resources that you can rely on that will help you anticipate the initial offer. Kelley Blue Book is a good place to start if you’re looking for a general price range, while eBay and Craigslist should help you understand how the vehicle’s condition will impact the asking price. Furthermore, it’s in your best interest to investigate your vehicle’s history, especially if you’re not the original owner. This will help remind you (or inform you) of any previous accidents, allowing you to be completely transparent when you’re ready to sell the car. Of course, if you’re going to sell your current vehicle, you’ll ultimately need to replace that car with a new set of wheels. Well, if you’re looking to stay within a certain budget, it may be in your best interest to pursue a used car. Fortunately, you won’t need to look any further than DePaula’s vast selection of used cars. The dealership offers an assortment of used and certified preowned vehicles. As a result, potential customers can find a replacement car that fits their desires (and their budgets). With more than 150 used vehicles sitting on the DePaula used car lot, you’ll surely be able to find a vehicle that fits your liking. DePaula also has used vehicles that will fit the budgetary desires of any type of buyer. If you’re seeking a pricier used vehicle, there are several recent-year cars sitting at their dealership. If you’re looking for something inexpensive, you can explore DePaula’s offerings of vehicles priced below $10,000. While DePaula’s used vehicles are reliable, we wouldn’t blame you if you’re seeking some kind of protections for your used vehicle. In this case, it may be a clever idea to pursue one of the dealership’s many certified pre-owned offerings. These vehicles are backed by their respective brands, meaning drivers can rely on some form of warranty if they run into any issues. Of course, in order to be sold as certified pre-owned, these cars are required to undergo an extensive inspection, assuring that they are performing like new when they’re driven off the lot. Whether you’re looking to buy a used or certified pre-owned car or truck, DePaula Chevrolet is able to offer transparent, simple, and fast up front pricing on all of the used models on our lot. Take a look at our online inventory to get started, and see what DePaula Chevrolet is able to offer you today.